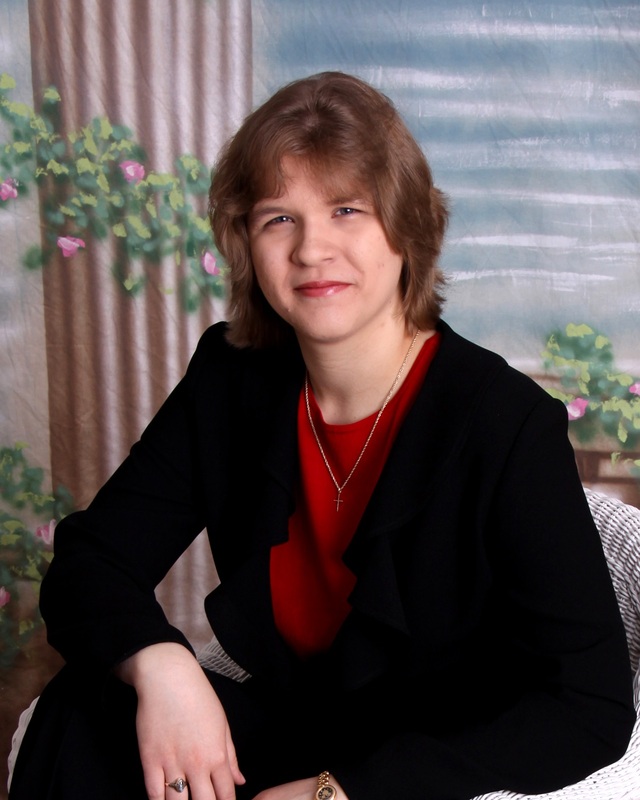 I'd like to welcome Christian fantasy author, Kimberly A. Rogers, to the Inkwell. Kimberly writes urban fantasy from a Christian worldview, and if you haven't met her hero and heroine, Baran and Raina, you are definitely missing out! So you're an independent writer. How did you get into writing? I first got into writing when I was very young but I didn’t begin seriously writing until I was in my teens. I started my first fantasy novel when I was sixteen, which is now in the editing doldrums awaiting revision. After an unsuccessful attempt to find an agent for that first novel, I spent time writing for myself and perfecting the craft. Then, I found a writing contest that I decided to enter. I didn’t place among the chosen winners, but that contest was the birthplace for my present series, The Therian Way. What are the benefits of being your own publisher? A definite benefit to being an indie author is that I set my own schedule. It’s great that I don’t have to wait six months to a year between each stage of the process. I can be more flexible with building in time for each stage. I also love having full control of the covers for my books. My cover artist, Rachel Rossano of Rossano Designs, has done an excellent job of capturing both the series feel and the mood for each book in the covers. Ultimately, my favorite thing about being indie is I don’t have someone higher up interfering with my story development. I like the freedom of incorporating my faith into my work without having to fight for it or fight to keep from including gratuitous sensuality or language. A fantasy writer usually has favorite fantasy-writing authors. Who are yours? My hands-down favorite fantasy authors are J.R.R. Tolkien and C.S. Lewis. They were my favorite authors when I was a kid and I still love their work. Tolkien for his excellent and extremely thorough worldbuilding. Lewis for the way he incorporated his faith into his stories (love Aslan!). Oh, those are my hands-down favorites, too. Love them both! You're working on a seven-book series that also has a prequel and several auxiliary stories. How do you plan for that? What's your schedule like? Yes, I am. It sounds more complicated than it is, I think. I have a working idea for the entire series and each of the stories have working bare bones blurbs. When I’m prepping the next novel, I create a chapter by chapter outline with the highpoints and any particular ideas for the scenes that strike me during the brainstorming. Because I have the chapter outlines and the highpoints, I’m able to keep on top of my multiple projects without losing my mind. With the auxiliary stories, it’s a little easier because they tend to be shorter novellas so the draft and editing stages don’t require as much time as the full-length novels. Right now I have four projects in progress. One novel in the final proofing stages, a short story in final proofing stages, another short story in the writing stage, and my next novel in the outlining stage. So my schedule is cyclic. I’m waiting on the first two, so I’m focusing on writing the next short story and outlining Book Three of the series. I chose urban fantasy because it has the unique blend of ‘What If?’ The mix of familiar and unfamiliar technology with the fantastic races fascinates me. I like the challenge of incorporating one known fantastic race (Elves) and one unknown race (Therians) into a world of humans. Sometimes urban fantasy will be more familiar than unfamiliar with very little changes to the world we know. However, I decided to make my series more of a true alternate universe, so there’s familiar history figures but I also changed history and changed the present landscape. Tell our readers what your WIP is about. When will it be available? 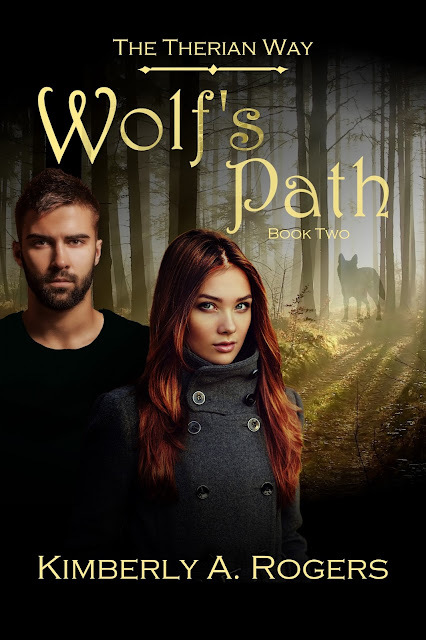 My current WIP is Wolf’s Path: Book Two of The Therian Way. I’m so excited about this one because I was able to include one of my favorite cryptid legends, The Beast of Bray Road, in the plot. The American werewolf of Wisconsin was a perfect character to add to my series full of shapeshifters. Of course, the other reason I was excited to work on this one is Baran and Raina are in a very interesting and fun place with their relationship. Wolf’s Path: Book Two of The Therian Way will be available next month. Tell us about your hero and heroine. Why do they work so well together? Baran and Raina are the glue for the series. I don’t think the adventures would work half as well without these two in the lead. They work so well together because they are SO different! Baran is a very serious, honorable military man who likes to do things by the book. Raina, on the other hand, is almost his complete opposite. She is a funny, sarcastic, and rather devil-may-care Tracker (an elite organization of Therians who find Elves and Therians be they criminals or simply missing persons…and are far more lax in regulations than the military). She’s more impulsive than he is, in general. They have the opposite attracts vibe between them and when they aren’t quarreling, their different strengths make them a formidable team. They are just wonderful together. Their scenes are so alive and real. So, besides this series, what else do you write? I have several plans in place for epic fantasies, romantic medieval-esque fantasies, and, of course, more stories set in the world of The Therian Way series. I write because I cannot not write. I write because there are stories begging to be told and characters whose voices need to be heard. And, every time I try to stop writing, the characters won’t leave me alone. What do you have available for readers now? Right now, I have the first two entries in The Therian Way available on Amazon: Tiger’s Paw (the prequel) www.amazon.com/dp/B00ZDDQIYG and Leopard’s Heart www.amazon.com/dp/B0175P0WFA. In May, readers can expect to find two new stories from me: Leopard’s Find, a short story about Raina before her appearance in Tiger’s Paw that will be included in Where the Light may Lead (Reflections of Faith Anthology #1), and Wolf’s Path: Book Two of The Therian Way. When I’m not writing, I’m usually working on my Master of Religious Education degree. Otherwise, I am reading, researching the next story, or working on a cross-stitch project. Where can readers find out more about you or contact you? Honeymoons are supposed to be relaxing, right? Not when the honeymoon is just a cover for a hunt. Shapeshifters Baran and Raina are tasked with one of the most unusual hunts of either of their careers — capture the infamous Beast of Bray Road. The monster humans assume is just a legend has grown more aggressive, threatening to expose the Therian race if he is not stopped. A struggle to find the truth and to stop the aggressive loner before he kills awaits Baran and Raina as they follow the Wolf's path. Thanks for visiting the Inkwell, Kimberly! I'm enjoying reading Wolf's Path right now, and I'm sure your readers will love it! Very interesting. Thanks for joining us at the Inkwell, Kimberly. Thanks for visiting us, Kimberly! I love getting a peek into the writing lives of other authors!